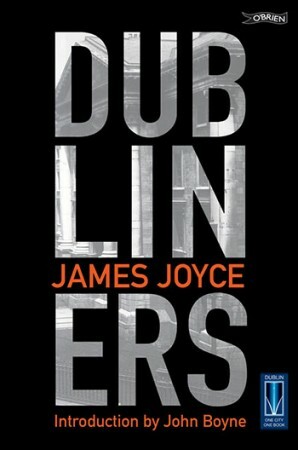 Dubliners is Joyce at his most direct and his most accessible. Any reader may pick it up and enjoy these fifteen stories about the lives, loves, small triumphs and great failures of its ordinary citizens without the trepidation that might be felt on opening, say, Ulysses, famed for its impenetrability and stream-of-consciousness hyperbole. At the same time, although simply written, there is great depth and many levels to the stories, in which the characters – young, middle-aged and old – are revealed, to themselves, or sometimes only to the reader, in all their frail humanity. James Joyce (1882–1941) is one of the most internationally known and influential Irish writers, whose books, particularly the landmark Ulysses (1921), have become the subject of worldwide scholarly study. His other works include the short story collection, Dubliners (1914), and the novels A Portrait of the Artist as a Young Man (1916) and Finnegans Wake (1939). He also wrote two books of poetry and a play, Exiles. Dubliners was first submitted to a publisher in 1905, but because of disputes over the contents of some of the stories, it was not published until 1914. The final story, The Dead, was made into a film by John Huston in 1987. Joyce was born at 41 Brighton Square to John Stanislaus Joyce and Mary Jane Murray, and spent his earliest years there and in Castlewood Avenue. He was educated at Clongowes Wood College and at Belvedere College before going on to University College Dublin (on St Stephen’s Green), where he studied modern languages. Joyce left Ireland with Nora Barnacle in 1904, and was to spend the rest of his life in Italy and France, paying his last visit to Ireland in 1912. Joyce died in Zurich on the 13th January, 1941, and is buried in Zurich’s Fluntern Cemetery. Published by The O'Brien Press.